As editors, we are sent complimentary products and invited to try many different services: beauty products, clothes, accessories, treatments, and more . . . and before we tell you we love something, we test it. Last week I had the pleasure of trying Dermalogica’s facial treatment, and I have to say that it was a great experience. 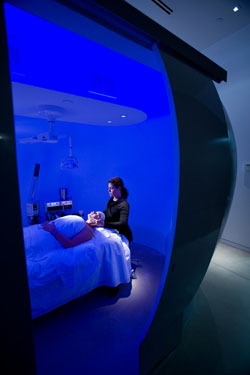 I arrived at the Soho location, and after a warm welcome by Marissa, my aesthetician; I walked to the pod where my facial was going to take place. The room made me feel as if I was in a cocoon the whole time. There were lights that change from blues to pinks and very relaxing music playing in the background. You can also customize your experience by bringing your own iPod. 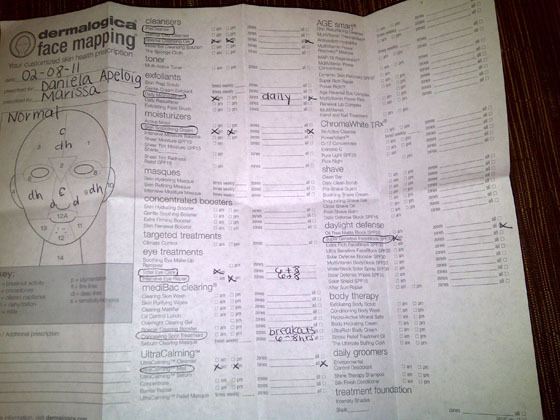 Before the treatment began, I had to complete a form and discuss my skin with the therapist. The treatment follows a basic guideline, but is entirely customized to suit the needs of different skin types. So in order to design my treatment, Dermalogica asked some basic questions about my skin and personal habits, including smoking, drinking, diet, and medication. After changing into a robe and removing my jewelry, I laid down on a very comfortable facial table. The treatment hadn’t even started and I was already falling asleep. My face was cleansed twice: first with a precleanse to remove surface debris, including makeup, and then with a cleanser for my skin type, which is “normal,” according to Dermalogica. 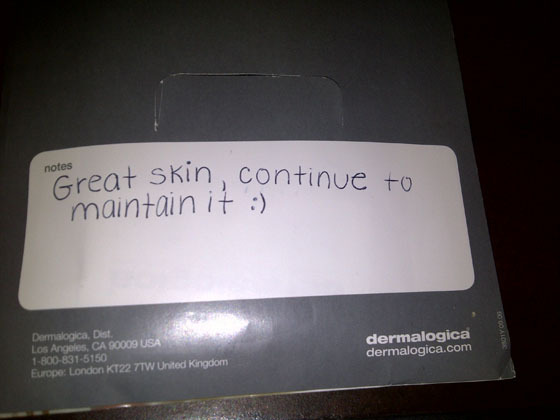 After my skin was cleaner than an operating room, Marissa performed Dermalogica’s signature Face Mapping treatment. In Face Mapping, 14 zones of your face and neck are analyzed for signs of dehydration, aging, hyperpigmentation, oiliness, and congestion. (See image below for my results.) I learned a lot about my skin: the skin on my cheeks and forehead is dehydrated, I have some blackheads and whiteheads (comedones) on my forehead and nose, and there are dilated capillaries on the sides of my nose. Marissa then exfoliated my skin and extracted the blackheads and whiteheads. She then applied a masque, toner, and moisturizer. After a short nap, I woke to find hot tea waiting for me. My Face Mapping results were explained, and products were recommended. The envelope with the results had a note: “GREAT SKIN, CONTINUE TO MAINTAIN IT .” I felt as if I scored an A on a math exam and wanted to put the note on my parents’ fridge. 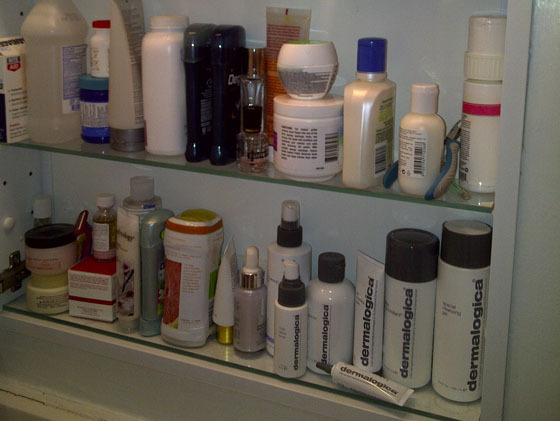 The next day Dermalogica products landed prime real state in my bathroom cabinet. And I’ve been following Marissa’s instructions to the letter! My sister’s wedding was a week later and the makeup artist said that I had beautiful skin. Again, I felt as if I had scored big at apparent-teacher conference.